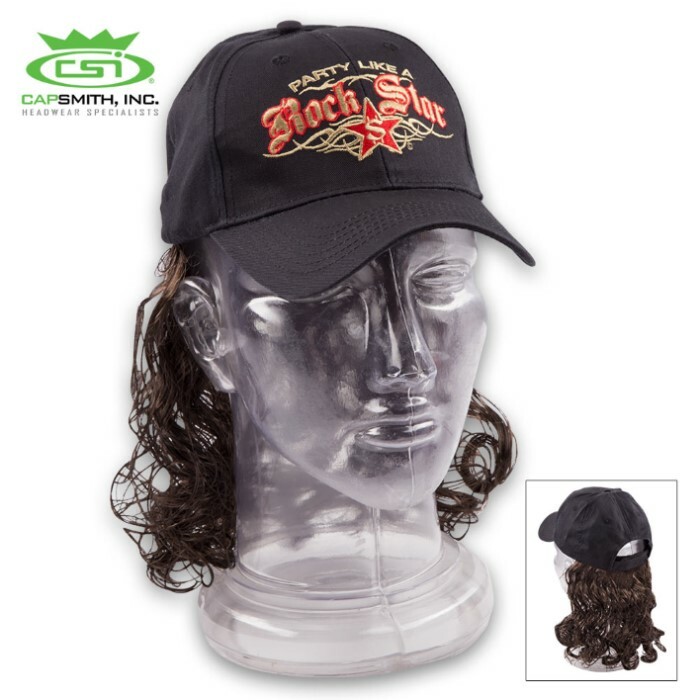 Rock Star Fake Hair Cap - Hat | BUDK.com - Knives & Swords At The Lowest Prices! Wanna fun and freaky cap to party in? Our Rock Star Fake Hair Cap is perfect for a costume, hairstyle change or just to get second looks from folks! The six-panel black cap is made of cotton twill and has an adjustable Velcro closure for a perfect fit. 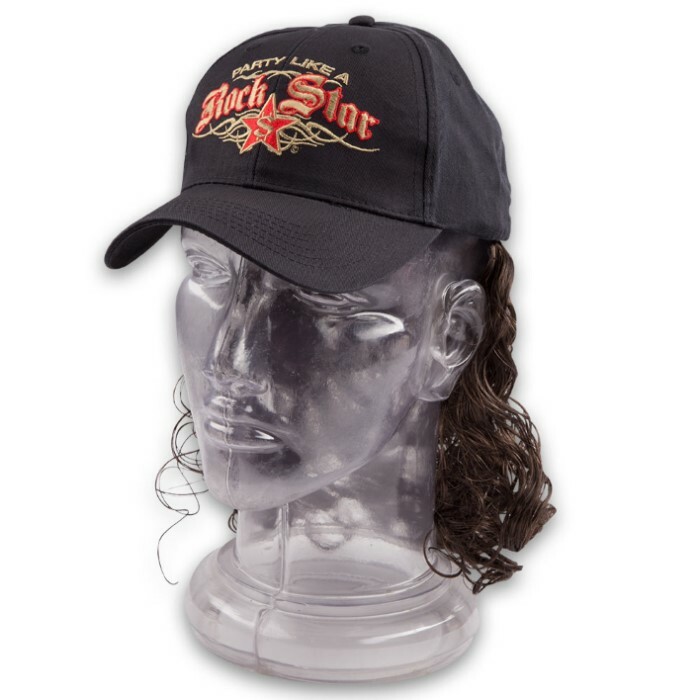 “Party Like a Rock Star” is embroidered in red and gold on the front panel and the fake hair is curly and luxurious. It’s also detachable so that you can wear this great-looking cap on a daily basis.